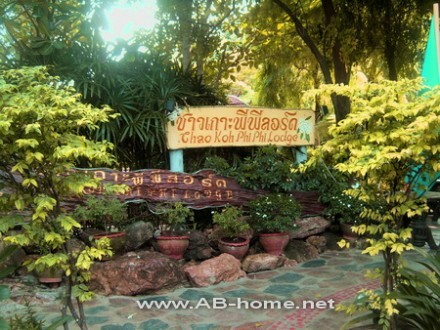 The Chao Lodge on Koh Phi Phi is located at Tonsai Bay. The luxury bungalows offer air condition, mini bar, TV and a en suite hot shower. The swimming pool and the waterfront restaurant are the heart of this accommodation next to the Andaman Sea in south Thailand. The rates are about from 1000 to 3000 Thai Baht up to season and bungalow type. On the hotel desk of Chao Koh Phi Phi Lodge you can book all kinds of island tours, scuba diving and snorkeling trips. The room will fit your expectations if you like great views to a tropical paradise island from your hotel room. Chao Ko Phi Phi is a great location for unforgettable holidays and honeymoon direct on a tropical beach. Enjoy your trip! Book here Koh Pi Pi hotels.